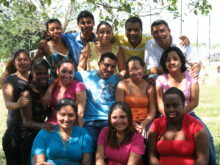 LAP Objective: • Strengthen the self-esteem and increase the comprehensive SRH knowledge of 10 youth leaders,ages 15-21, to become GOJoven ERA Peer Educators in San Ignacio and Santa Elena, by September 2013. • Increase knowledge, and improve decision-making and life skills of 100 “Social Agents for Change” ages 15-21 through 5 “edutainment” (education + entertainment) activities on self-esteem, stigma, discrimination, and HIV/AIDS, and through a recreational activity. LAP Objective: • Increase the knowledge of 100 young people ages 16-18 on sexual and reproductive health services being offered through Claret Care, Belize family Life Association and the Dangriga Polyclinic by August 2013. LAP Objective: • Improve SRH education on self esteem and contraception among 22 high school class presidents at Toledo Community College by January 2014. LAP Objective: • Sensitize the community and create awareness on SRH topics that affect the community of San Victor. • Increase the knowledge on the proper use of contraceptive methods among 25 adolescents (ages 15-19) and their parents in San Victor village by December 31st, 2012. LAP Objective: • Strengthen the knowledge on the decision making process in proper condom use, contraceptive methods, and self-esteem of 22 youth between the ages of 18-25 during a semester period at the tertiary level institution, Centro Escolar Mexico Junior College. LAP Objective: • Strengthen the knowledge and leadership skills of 25 young girls from Palloti High School, St. Catherine’s Academy and Edward P.Yorke High school on Male and Female Anatomy, Sexuality, Gender and Power, STI’s and HIV/AIDS, Teenage Pregnancy and Family Planning and Contraceptives (including Emergency Contraception) by July 2013 in Belize City. • Increase access to female and male condoms for youth who utilize Youth Enhancement Services (YES, a center for teenage mothers) by the end of 2013. Achieved Outcomes: • Conducted three seminars on SRH topics for 26 young girls, created and distributed to seminar participants youth-friendly booklets on contraceptives available in Belize. • Distributed 20 male and 20 female condoms in YES Management Centers. 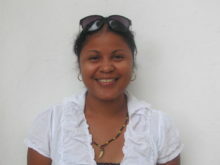 There was no cohort in Belize in 2010, as the alumni were creating their own NGO. LAP Objective: • Increase the knowledge of SRH and gender issues, including correct use of contraceptives, STI prevention, and the prevention of unwanted pregnancy of 75 young people ages 15-25 years. 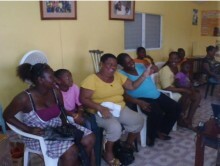 • Increase the knowledge of Sexual Rights laws in Belize of 25 young people and their capacity to defend their rights. Achieved Outcomes: • Implemented a 2-day training where 36 youth were trained in SRH issues. • Applied for and were awarded a grant of $4,300 USD from the US Embassy through the American Ambassador’s HIV Prevention Program, a project of the U.S. Global AIDS Coordinator along with its Caribbean Regional Office of the President’s Emergency Plan for AIDS Relief. • Promoted and implemented the first ever Health Fair in Corozal Town; over 110 community members participated. • Coordinated a Youth Olympics where they promoted healthy sexuality, which involved over 200 high school students. LAP Objective: Increase the SRH knowledge of 10 young people, ages 12-19, and 10 parents by 60% in order to combat “Sugar Daddy Syndrome” (SDS). Decrease incidence of SDS by 60% among young women by training 25 young women peer educators who in turn will each train 25 other young women. Achieved Outcomes: Collaborated theDelilleAcademy for Underprivileged Students to create the “Little Sisters Club”, which helped improve SRH knowledge of 40 girls ages 13-17. LAP Objective: • Increase the SRH knowledge of 25 youth leaders, ages 13 to 17. • Increase the knowledge of HIV and SRH in youth ages 13 to 17 through the implementation of an HIV and SRH awareness campaign. Achieved Outcomes: • Trained 18 youth leaders, ages 13-17, in SRH topics. Implemented an SRH awareness campaign, which included working with to implement workshops, participating on talk shows, and giving condom demonstrations. Estimated # of youth reached: 18 peer educators trained, with over 100 youth outreached. LAP Objective: Increase knowledge of SRH issues, including available contraceptives that are free of charge, among youth inArenalVillage. Achieved Outcomes: • Trained 17 youth peer-educators. • Conducted a 3-day camping outing and SRH workshop for the youth of Arenal. • Organized an SRH forum and health fair for over 100 youth and families, and received additional funding from the Cayo District to implement. LAP Objective: • Increase institutional knowledge of SRH topics in 5 institutions through the implementation of a SRH and leadership skills training. • Increase public awareness about HIV/AIDS among 500 youths in northern Belize through an AIDS benefit concert. Achieved Outcomes: • Provided SRH training to 50 youth, ages 13-19, of various backgrounds in the rural areas of Orange Walk Town. • Implemented a sports program where over 90 youth received SRH information. LAP Objective: Develop a peer educator training in order to train 30 youth from Orange Walk Technical High School and the National 4-H and Youth Development Center to act as peer educators in key SRH issues. Achieved Outcomes: In 2004, the team’s LAP evolved into a permanent program of the 4-H and Youth Development Center and continues to serve hundreds of youth each year. Estimated # of youth reached: 30 peer educators trained, with over 2,000 youth outreached.